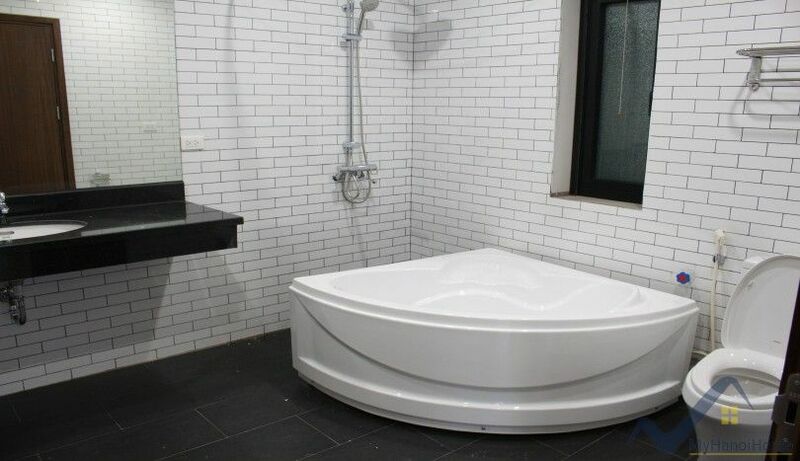 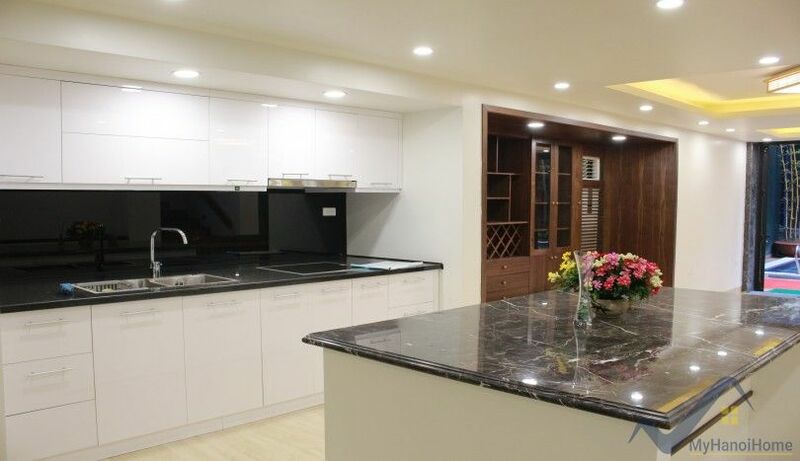 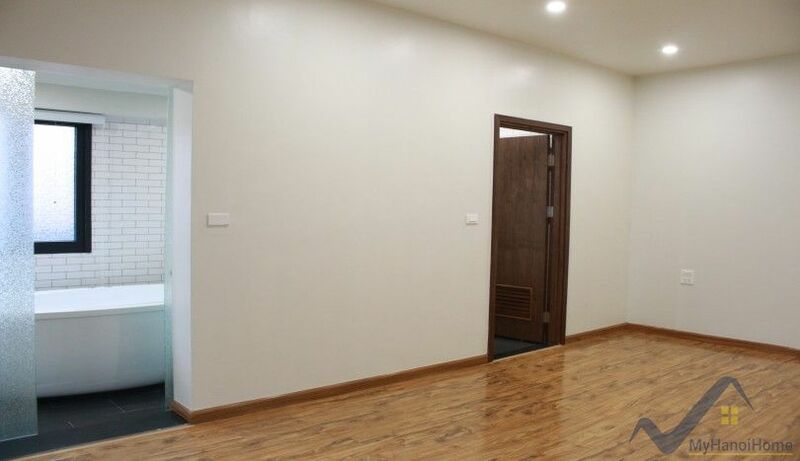 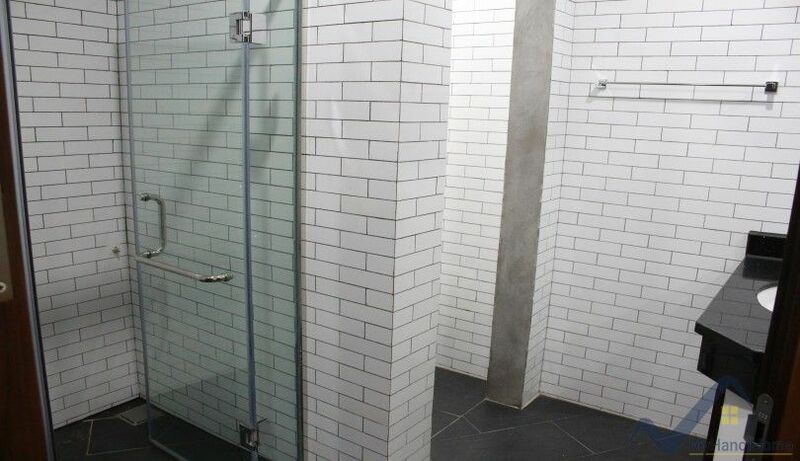 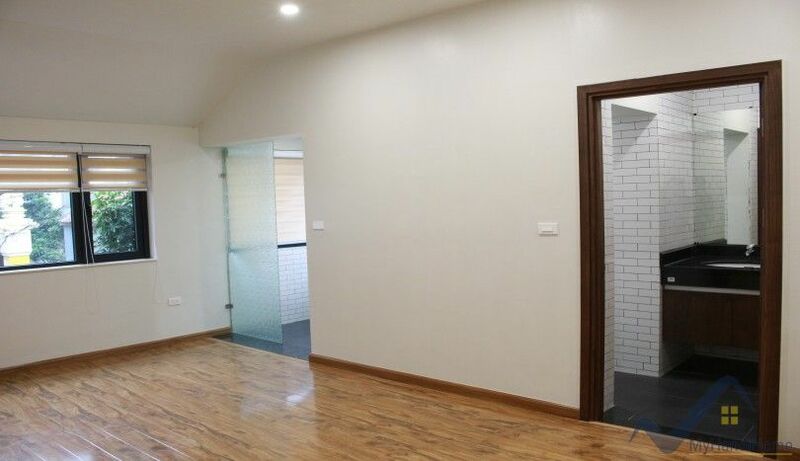 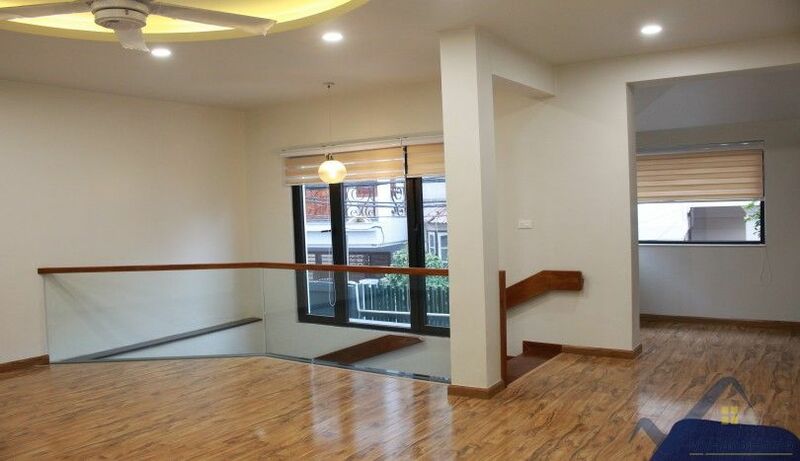 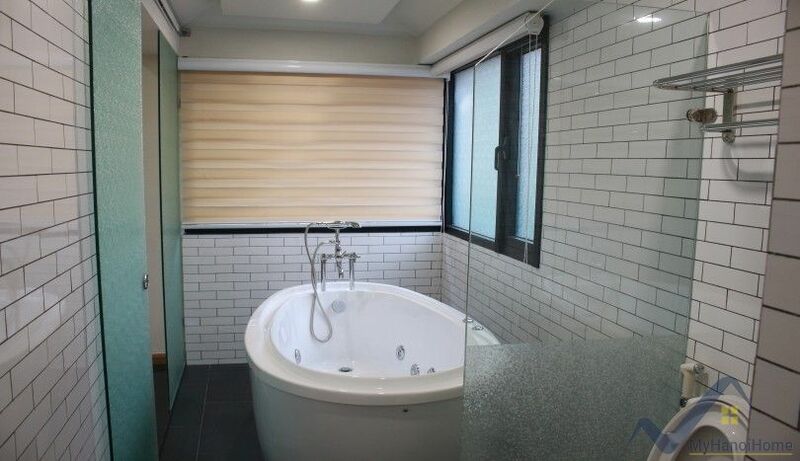 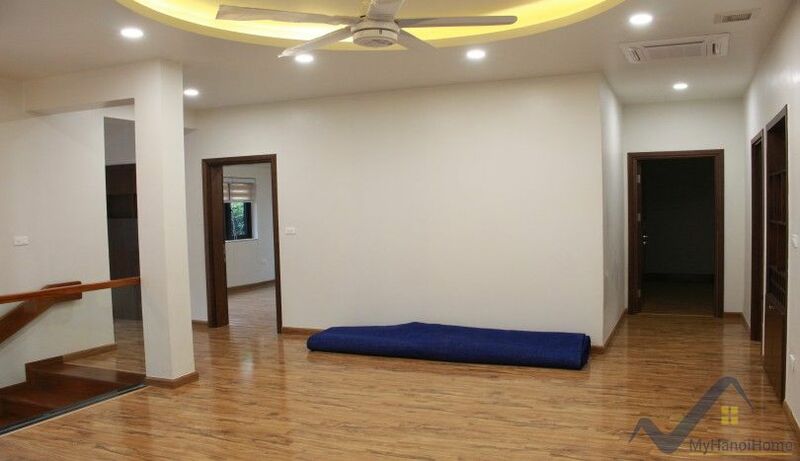 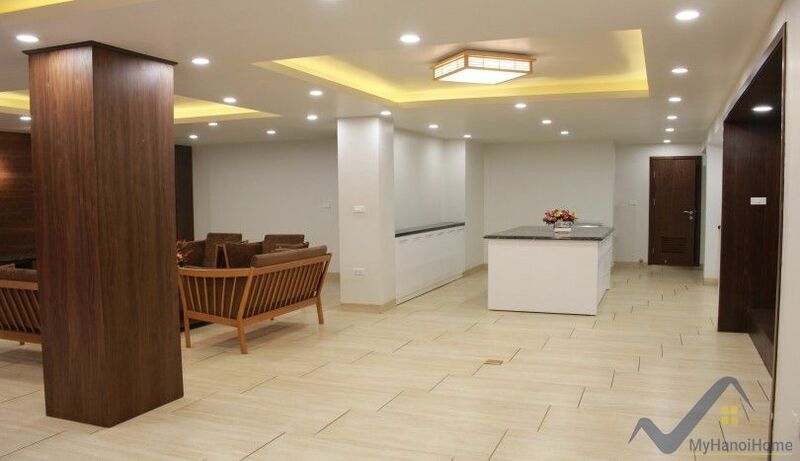 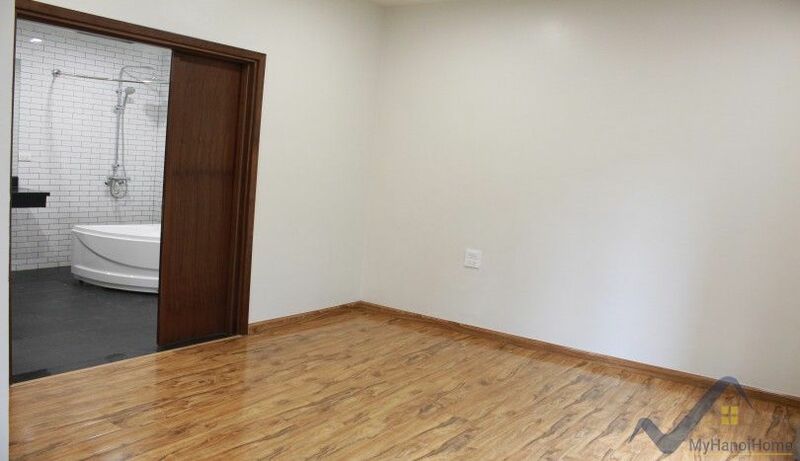 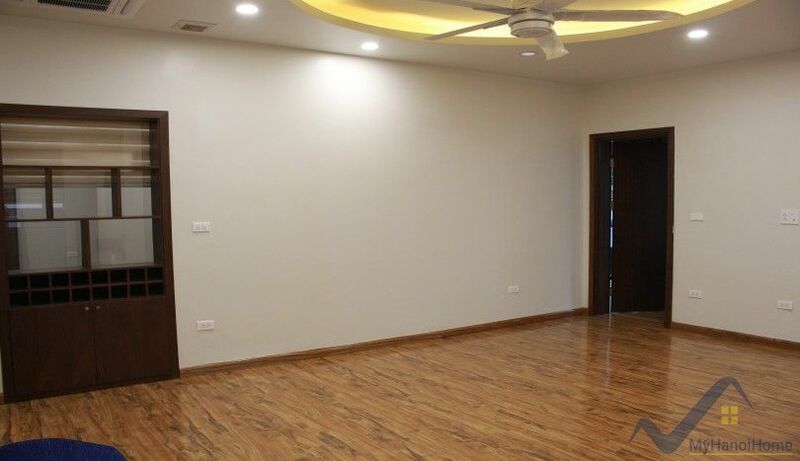 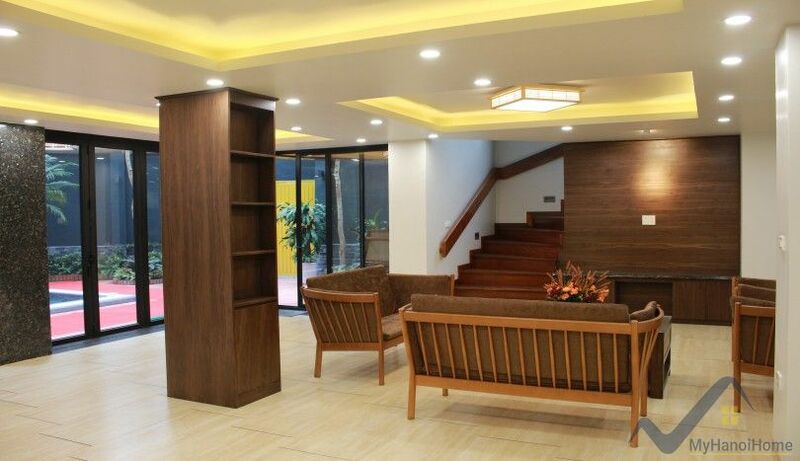 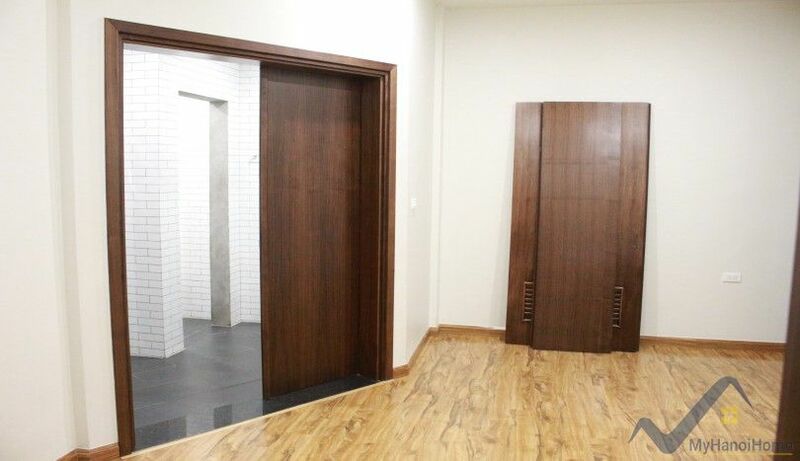 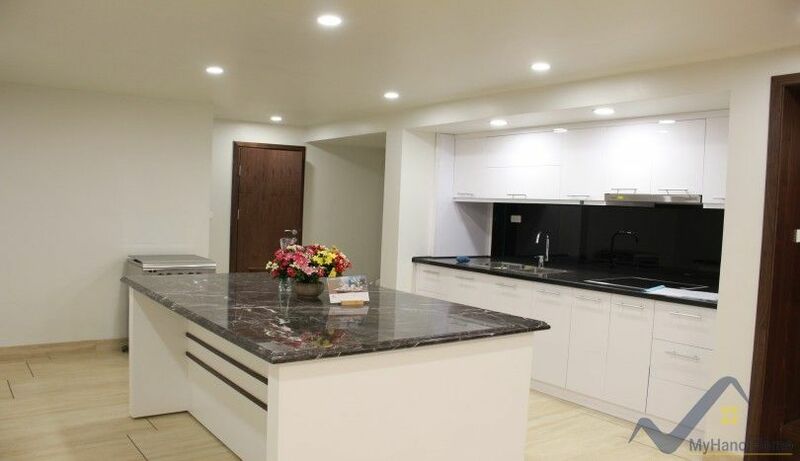 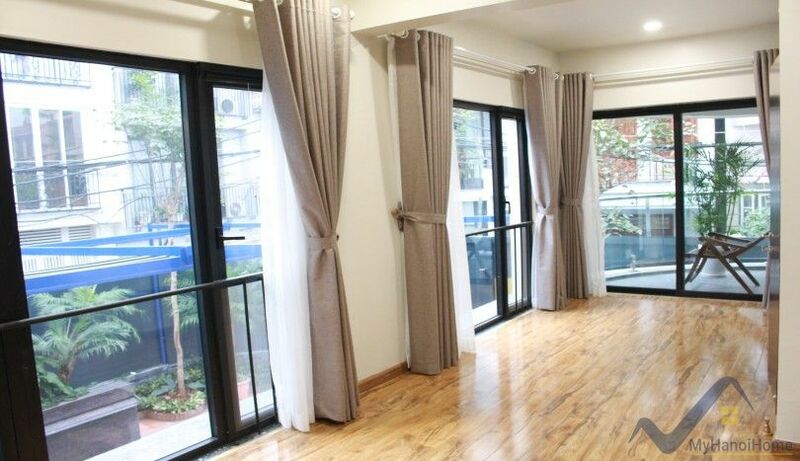 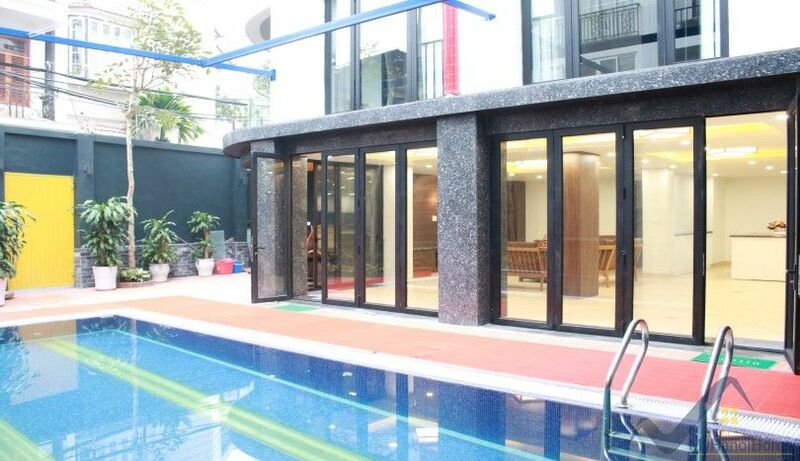 Beautifully presented three bedroom serviced duplex apartment for rent in Tay Ho – Westlake in an enviable location and the perfect option for a long stay in the Hanoi city. 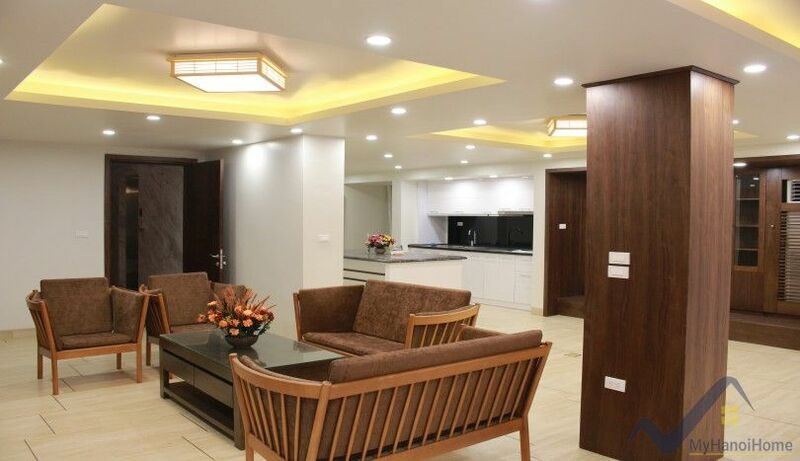 This contemporary apartment features three bedrooms, open plan reception, kitchen area and spacious bathrooms with a 300 sq m of living space. 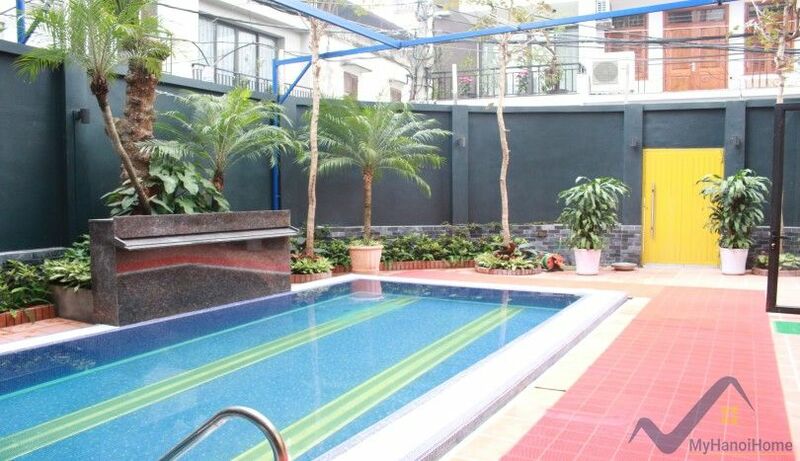 Lower floor is a reception area, fitted kitchen, guest wc and a beautiful outdoor swimming pool with an outdoor space of 150 sq m.
Upper level is three double bedrooms with three en-suites, a common space. 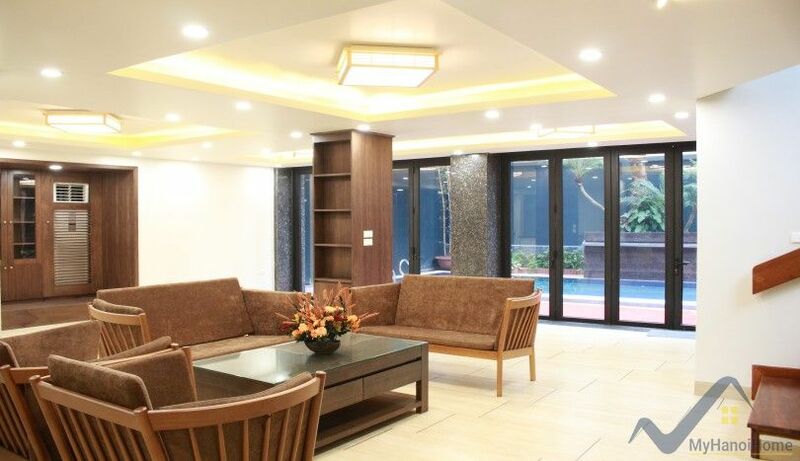 Its monthly rent is inclusive of housekeeping services 3 times a week, WIFI internet, Cable TV, 24hr security. 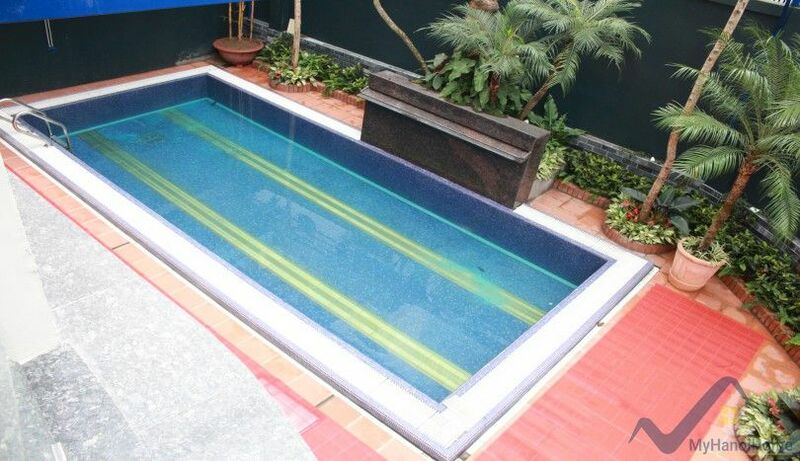 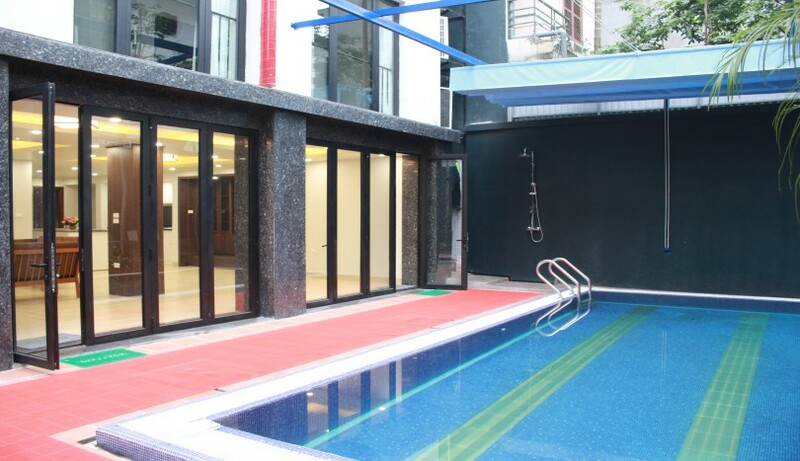 We have more swimming pool apartment for rent in Tay Ho Hanoi! 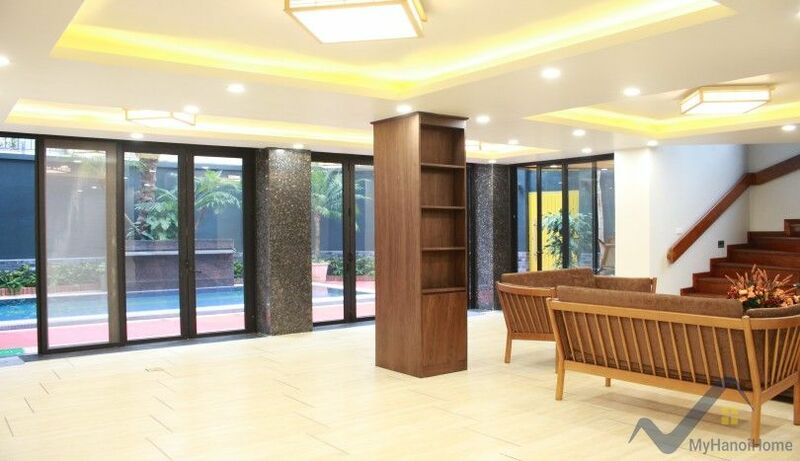 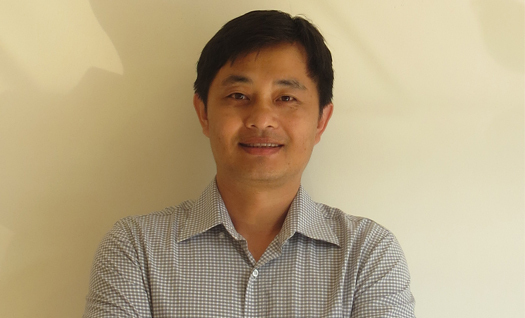 Find your new home at MyHanoiHome now!